With more and more concerns coming out about what is actually in the food that we are eating, it is important to look at everything, including meat! Yes, that meat that you buy in the grocery store is usually unseasoned, plain and whole. However, have you thought about what the cow was fed before it became that steak? Or what that chicken ate before it made its way to the store? What was added to it when it was at the processing plant? These are important questions that we all should be asking, because what animals are fed can play a huge part in the taste, quality and safety of what you eat! I know that everyone is not ready or willing to make the jump to go completely meatless, but knowing where your meat comes from should be a consideration! Yes, organic, grass-fed beef might be a little more expensive, but I will guarantee, you will be able to taste the difference! Taking all of this into account, more and more people at making small changes in their diet and nutrition, striving to find healthier options for some of their favorite foods. 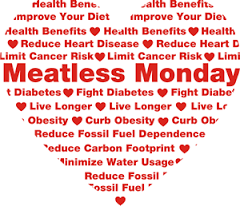 One of the trends that I see more and more is “Meatless Monday”. One day during the week, where they are eating no meat. Set aside the chicken, beef and fish and load up on the fruits, veggies and grains! Lately, I have been making more and more days meatless for me. Not because I am completely giving up meat, but because in the end, I feel better, have more energy and even sleep better when I increase the fruits, veggies and whole grains in my diet! 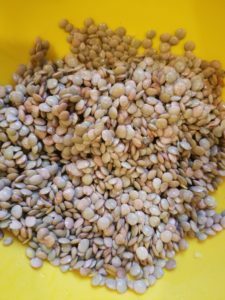 Last week I was looking for something new to try and I knew that I wanted something to use up the large vat of dried lentils that I had sitting in my cupboard. 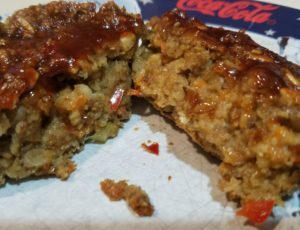 That is when I found Julie’s (aka The Simple Veganista) website and her recipe for Lentil Vegetable Loaf (original recipe can be found here!). Packed with lentils, plus all kinds of other vegetables, had no eggs or dairy, this was exactly what I was looking for! Plus is was easy enough to make Gluten Free! 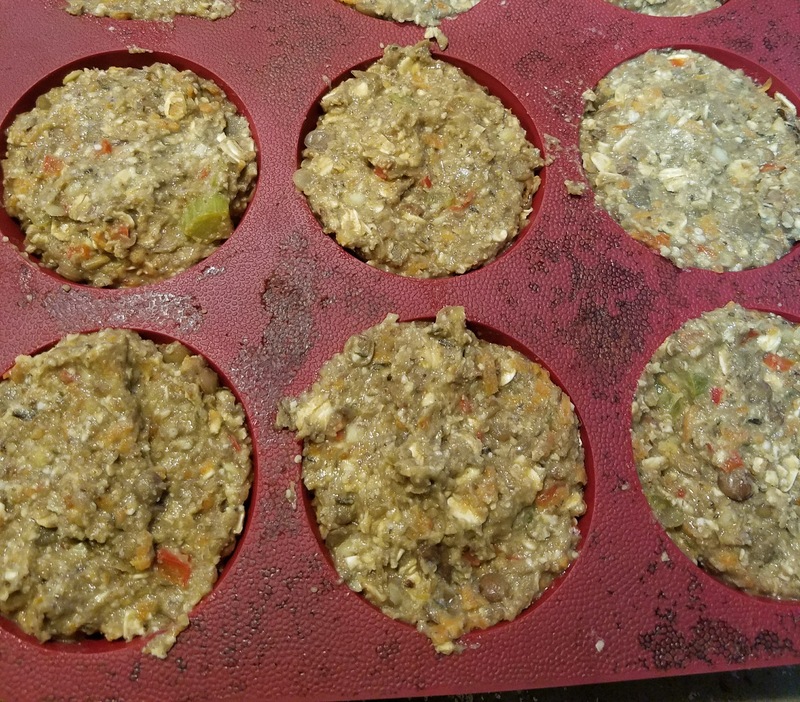 I knew that there was a chance that the rest of the family was going to opt to NOT eat these, so making them as muffins was going to be perfect so I could have them for lunches! 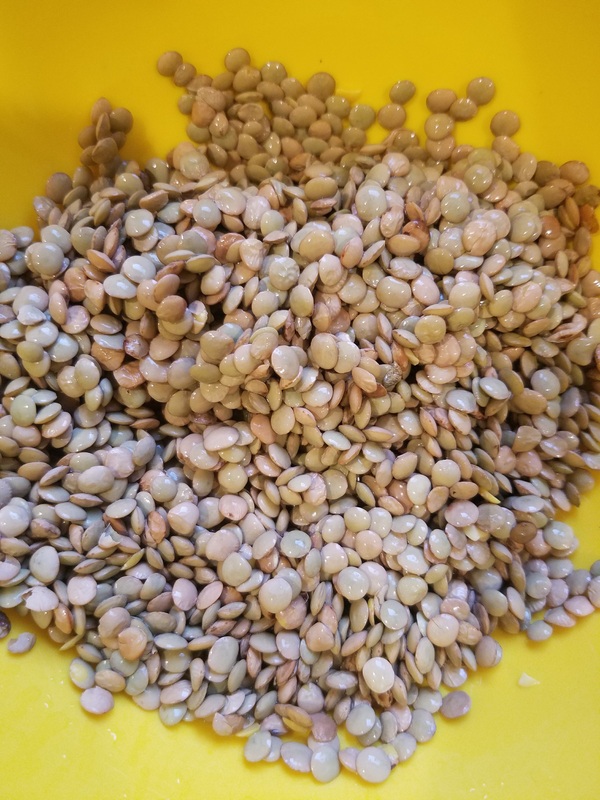 I rinsed the lentil and got them soaking, while I gathered up the rest of the ingredients and started chopping veggies! 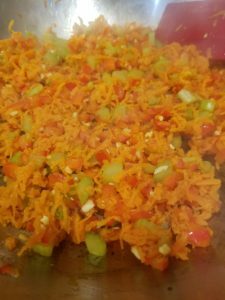 In her original post, Julie comments that this recipe was created to be able to use ingredients that you will probably already have on hand. She was right! 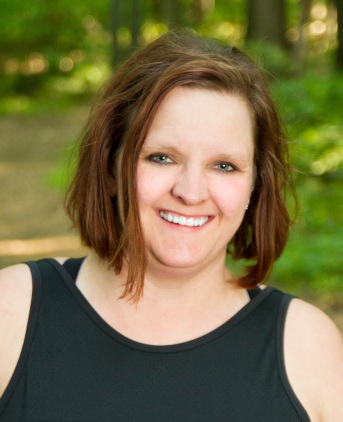 There was nothing that I had to run to the store for – I had it all (that never happens!) Yes, this loaf will take a little longer to put together than your traditional meatloaf, but in the end, it’s worth it. Trust me! Rinse lentils. In large pot add 2 1/2 cups water/broth with lentils. Bring to a boil, reduce heat, cover and simmer for about 40 minutes, stirring occasionally. Remove the lid and set aside to cool, as they cool, they will thicken up, as the absorb the last of the water. Some of them will probably get mushy, but this is ok, since we will mashing/puree part of the lentils once they are cooled. 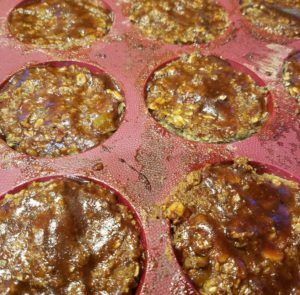 In small bowl combine flaxseed meal and 1/3 cup water, set aside in the fridge for at least 10 minutes while you prepare everything else. This will act as a binder (remember we are not using any eggs in this loaf!) and will thicken nicely as it rests in the cold fridge. Chop all your vegetables. In saute pan heat oil (or water) over medium heat. 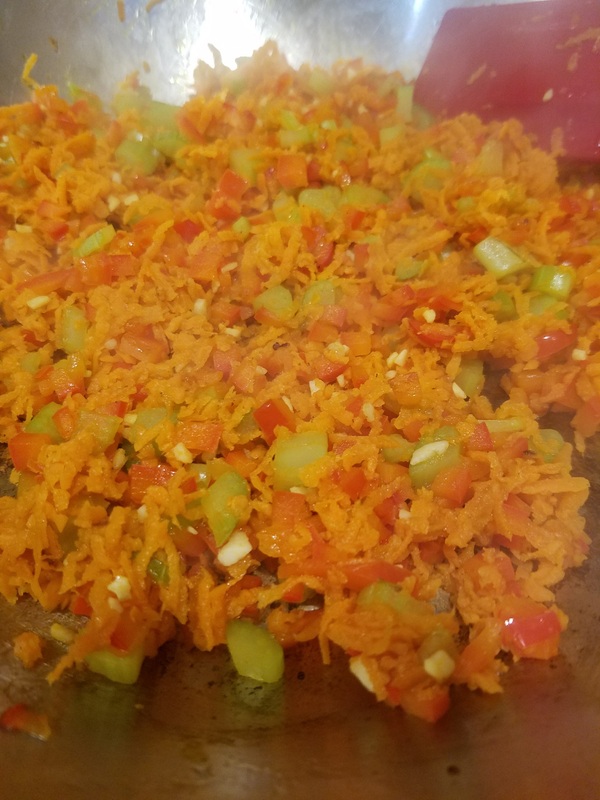 Saute your garlic, onion, bell pepper, carrots and celery for about 5 minutes. They don’t have to be cooked until soft as you will be cookign them more as the loaf cooks. Add spices and mix well. Remove from pan and set aside to cool. Using an immersion blender or food processor, blend about 3/4 of the lentil mixture. If using an immersion blender, tilt your pot slightly to the side for easier blending. Don’t have an immersion blender, use a potato masher or fork! 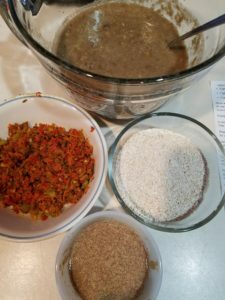 These blended lentils will help to bind your loaf together. 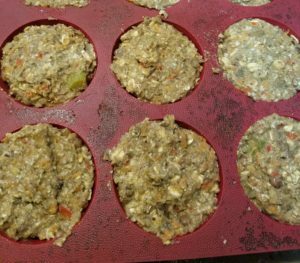 Combine sautéed vegetables with the lentils, oats, oat flour and flax egg, mix well. Adding salt and pepper as needed, or any other herb or spice you might like. Put mixture into pan, preferable lined with parchment so you don’t have to coat pan with oil! 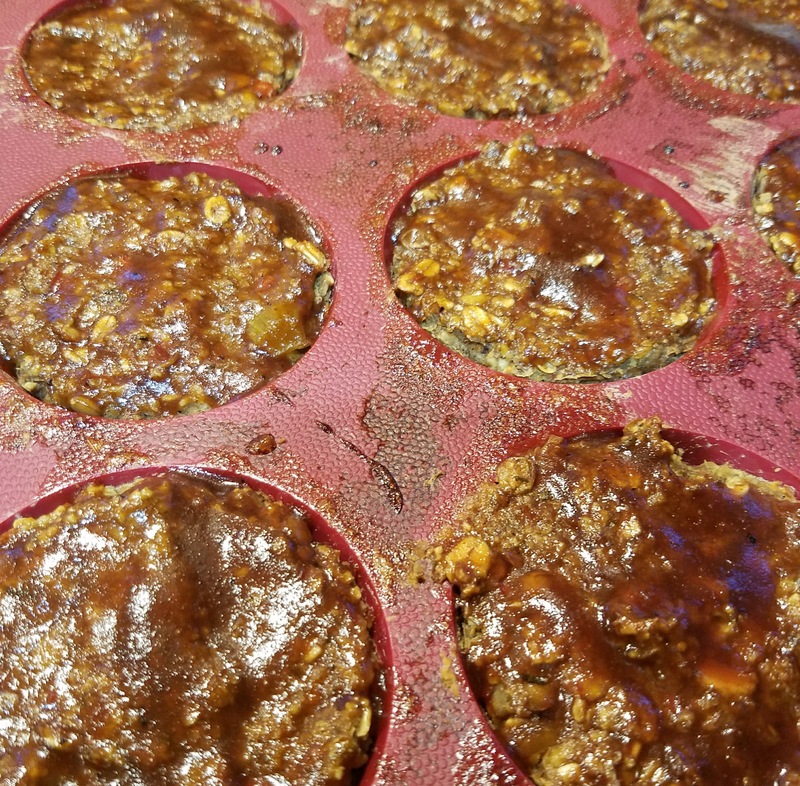 I like to use my silicone muffin pan and make individual loaves! Combine all ingredients for the glaze in a small bowl. This glaze is amazing, so you will probably want to make extra – I actually doubled the amounts so that I had extra to put on my loaf when I was eating it! Spread over top of loaf and bake in oven for about 30-40 minutes (45 – 50 minutes if using load pan). I opted to put them under the broiler for a few minutes to let the glaze caramelize a bit! Let them cool a bit before taking out of pan. The finished product, just waiting to be eaten! I thought that the texture on these was awesome and I can agree with her statement that they are filling! I ate one as soon as they cooled enough to take them out of the pan and then was actually too full to eat the mushroom stroganoff that I made for dinner! Results from the family? I will admit, they didn’t care for them. It was a combination of the flavor and texture. That’s ok, gives me something to work with for next time… and this time I had more for myself! Thank you Simple Veganista for an amazing recipe! Now to head back to your website to see what else I can find!! ⟵Are you slowly killing yourself? yay!! You will have to report back on what you thought! I wish I could have added the onions because I can only assume they would have made the flavor that much better! I’ve never done a link up like that, you will have to message me and tell me how it works! Sounds fun!